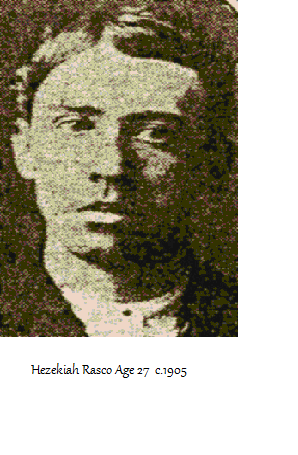 Hezekiah "Hez" Rasco was a quiet, industrious, charismatic farm boy, the fourth son of nine children born to James Henry Rasco and Lucinda Pearson, in Fremont County, Iowa. Hez was considered quite handsome, both as a child and later as a man. His hair of deepest black was a stark contrast to his steel-blue eyes and fair complexion. He was said to have had an equally charming personality which garnered him a "stand in everywhere," according to later accounts of his nature given by his older brother Lee. 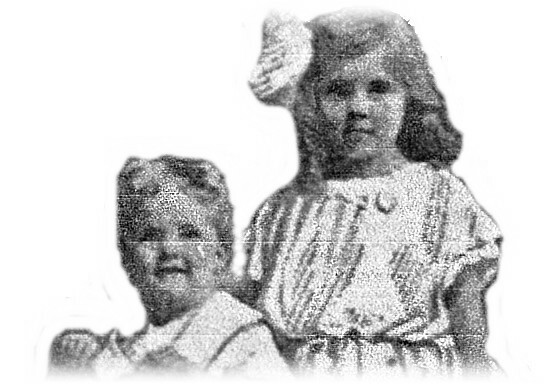 Hez's mother, Lucinda, died of consumption in 1886, when Hez was not yet six years old. She lingered in bed for a year before her death, and her final farewell to impressionable young Hez stayed with him even into adulthood. After Lucinda's death, Henry remained in Iowa, farming for two more years, finally relocating to Nodaway County in Northwest Missouri in 1888. In 1889, Henry Rasco remarried to Ida Belle Riddle of Barnard, Missouri. Ida became mother to Henry's three sons, Lee Andrew, Hez, and Frank from his first marriage, and bore him nine children throughout the course of their years together. Their lives were not to be unmarred by tragedy, however, with three of their nine children dying in infancy and childhood, and one daughter dying as a teenager. The heartbreak and distress of losing so many children would weigh upon them sorely, yet be overshadowed by greater tragedies thrust upon them by their son Hez. In the years to come, it would be clear to the Rascos and to the community in which they lived that Hezekiah was a child born of woe. 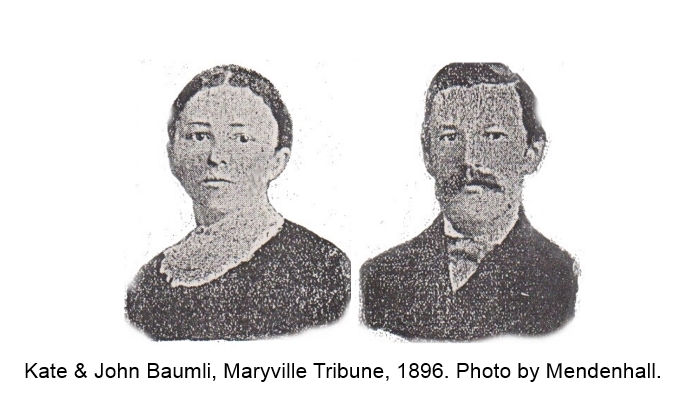 On October 2, 1896, Katrina "Katy" (Kirch) Baumli was bludgeoned to death in the second-floor bedroom of her rural home two miles southeast of Arkoe, Missouri. Her six-month-old baby, Mary Katherine, lay screaming on the bed nearby as the killer, a fifteen-year-old neighbor boy, struck her over and again with the leg of a wrought-iron stove. Within the week, Arkoe and its neighboring communities would be left reeling over the arrest of Hezekiah Rasco, who confessed to the gruesome killing. What followed would test everyone's patience and the strength of friendships. The ensuing trials of Hez Rasco for the murder of Katy Baumli kept the people of Northwest Missouri in turmoil for more than two years. 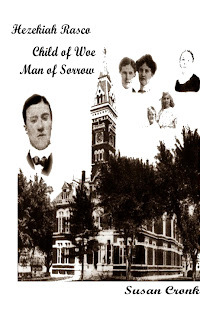 The infamy of his crime bled over into neighboring states and people traveled great distances to attend the first of his three trials, if only to catch a glimpse of the boy killer, to be near him, to hear his words. When a final verdict was reached in the case, it was a controversial one, likewise the imposed punishment. Released from his original sentence behind The Walls, the state penitentiary at Jefferson City, Hezekiah Rasco would be left literally holding the reins of a grand larceny conviction in Buchanan County in 1905. He would return to the state penitentiary for two more years, gaining final release in 1907. 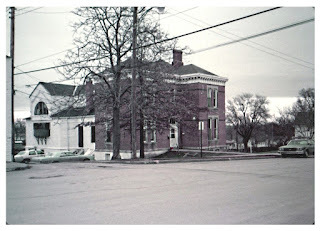 He returned to Nodaway County and took up the quiet life of a farmer. 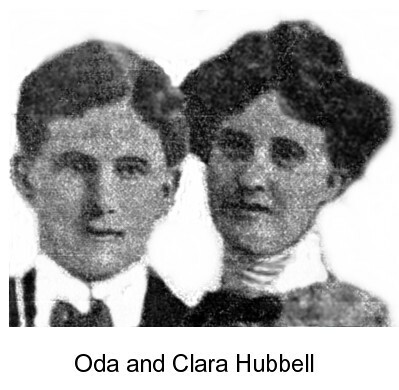 On a sedate Sunday in November 1910, Oda Hubbell, age 30, his wife Clara, and their two children, Jessie, a girl aged 6, and Welton, a boy aged 4, were brutally murdered at their home near Guilford, Missouri. Oda was killed by a shotgun blast to the head. Clara was bludgeoned then shot as she tried to phone for help. Jessie and Welton's exact causes of death were uncertain, but it was believed that they too were shot by the killer. The Hubbell home was then doused with fuel oil, as were the bodies. The killer then laid fire to the fuel and escaped the scene. Less than twelve hours from the discovery of the crime scene, Hezekiah Rasco was under arrest for their murders. Was he guilty of the crime, or was Hez Rasco a fifth victim of predisposed minds? Henry and Ida's child of woe became a full-grown man of sorrow and their lives were in upheaval once again. "Every unpunished murder takes away something from the security of every man's life." This quote by Daniel Webster, noted statesman, seems to speak directly to Hez Rasco's life, although it was spoken nearly a century earlier. Was Hez's punishment sufficient for the first of his crimes? Had it been more significant, would the lives of Oda Hubbell and his family been spared? 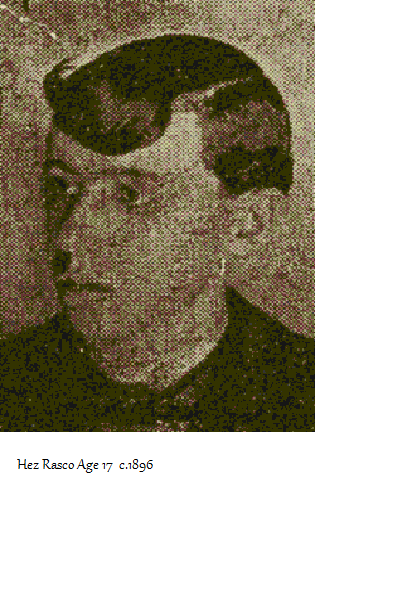 Researching the life and crimes of Hez Rasco has proven an interesting, and sometimes daunting, process, and it is my hope that readers will find the recounting of it equally interesting.